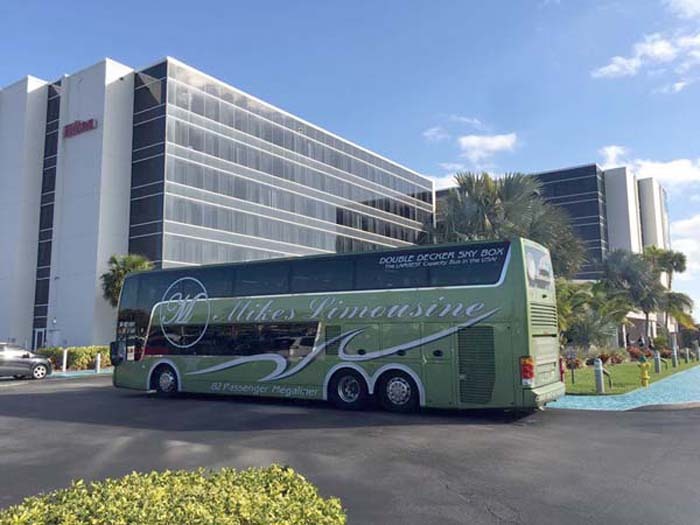 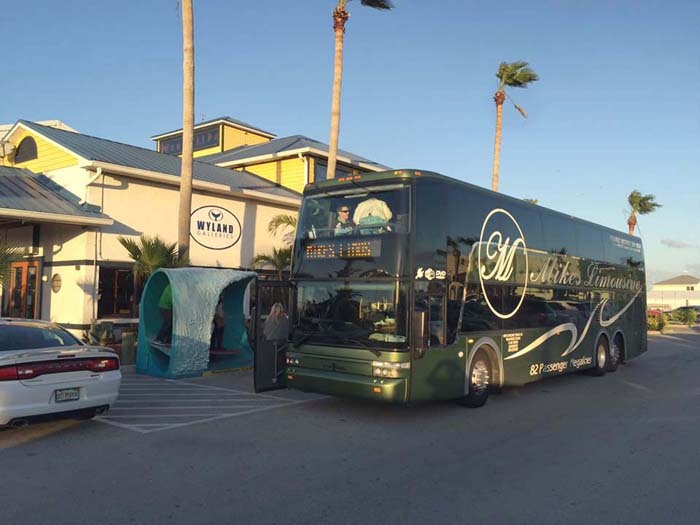 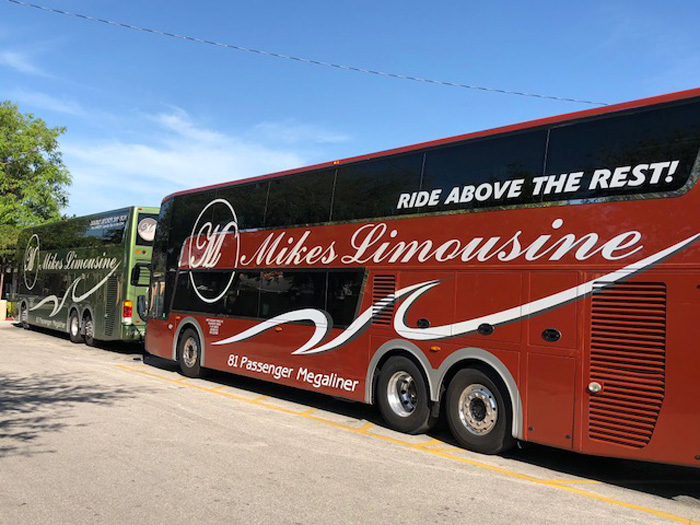 Mike’s Limousine, Double Decker Van Hool TD 925 Buses are the biggest and most efficient ground transportation in the United States. 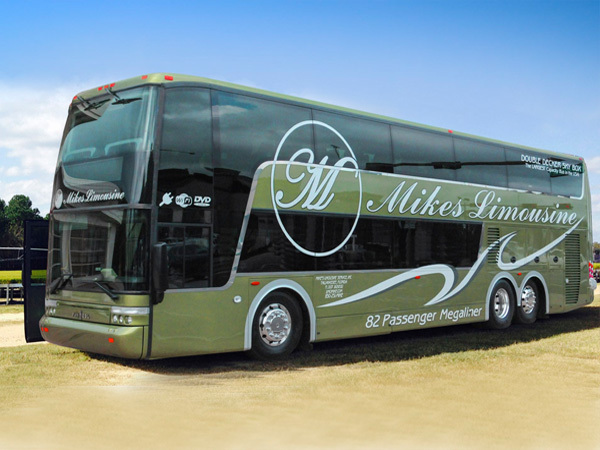 We have several of these magnificent Double Decker Buses in several colors. 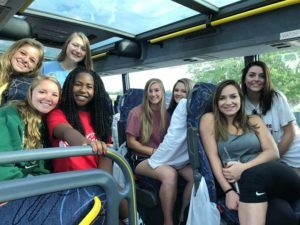 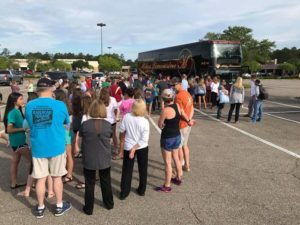 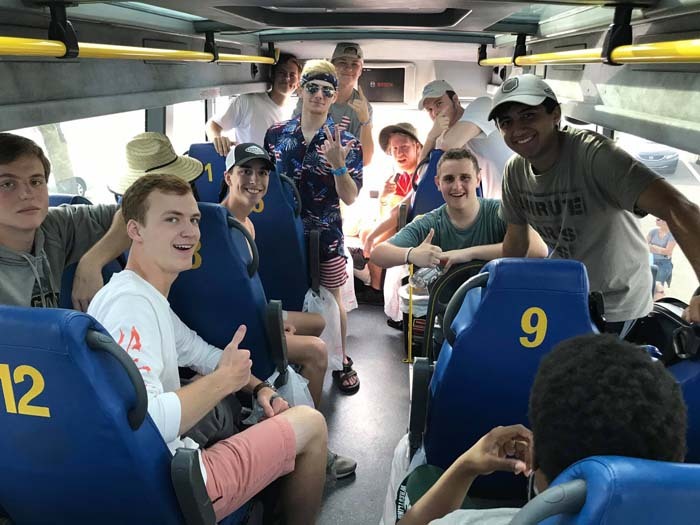 With a passenger capacity of up to 81 passengers these are magnificent charter bus solutions in Tallahassee, North Florida and the Eastern United States. 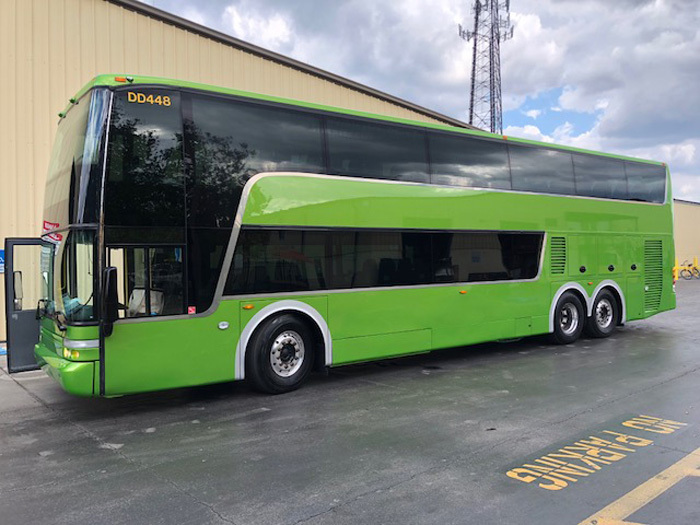 This eco friendly Double Decker coach has less CO2 emissions, longer range and lower fuel consumption similar to a standard size coach. 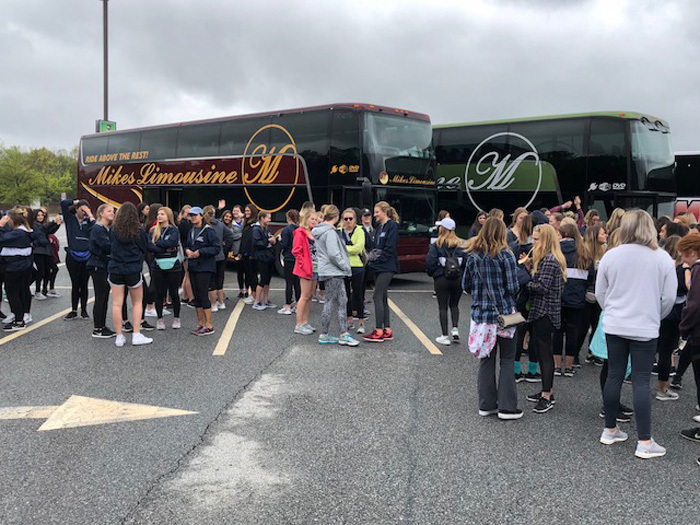 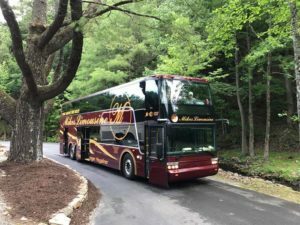 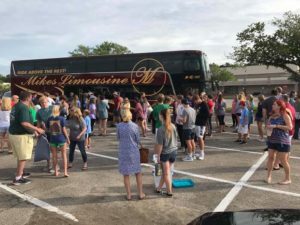 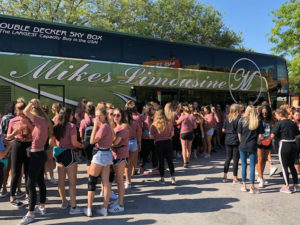 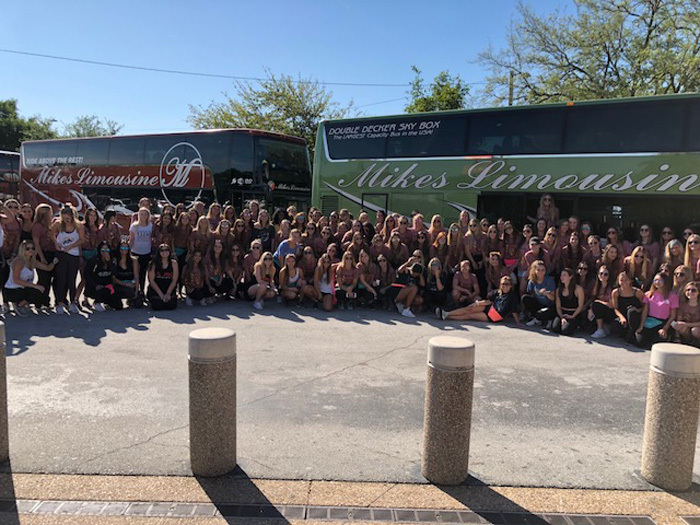 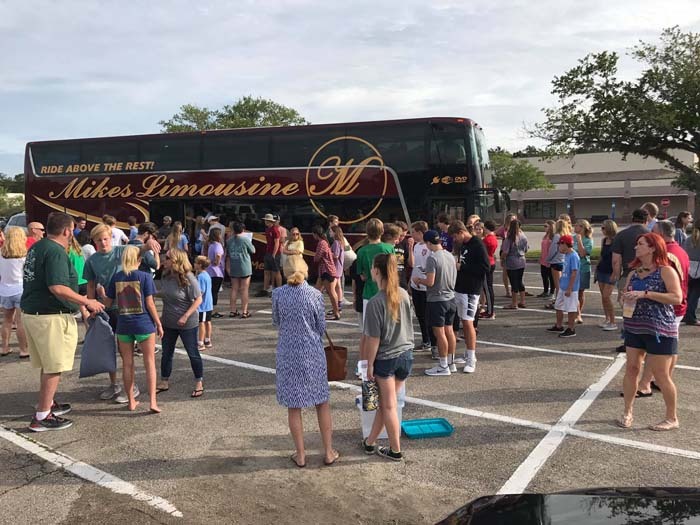 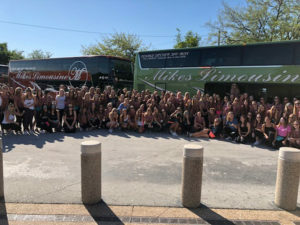 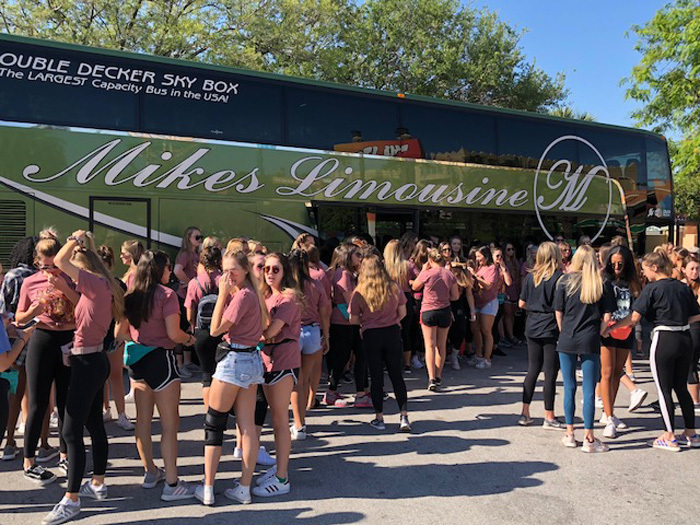 For a truly unique motor coach experience and a fascinating trip, call Mike’s Limousine for availability of these mega coaches. 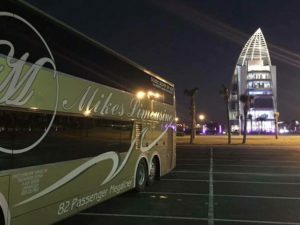 You will be amazed at the 360º “skybox like” view from the upper deck! 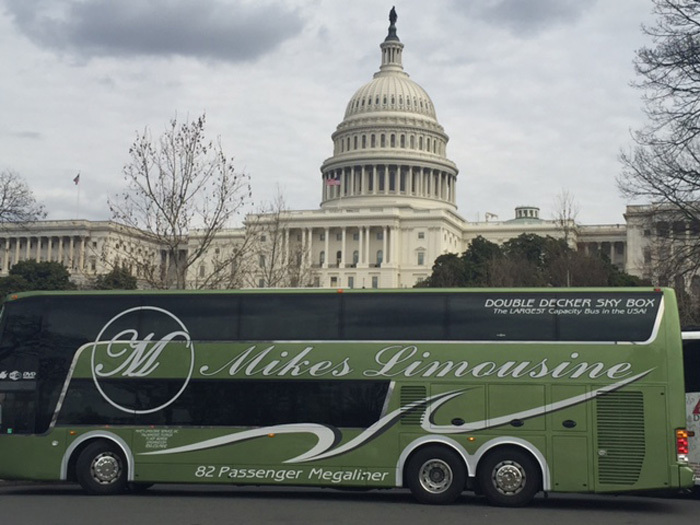 59 seats upper deck, 22 on the lower deck, 2 card tables on lower deck with restroom. 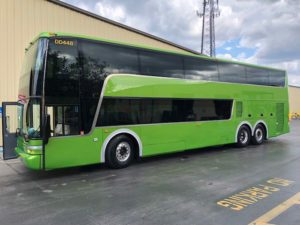 These buses feature more spacing between seats to accommodate larger people! 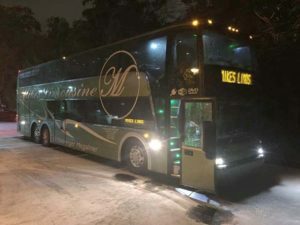 • Luggage trailer available at additional cost for bands or musical groups that need the extra space. 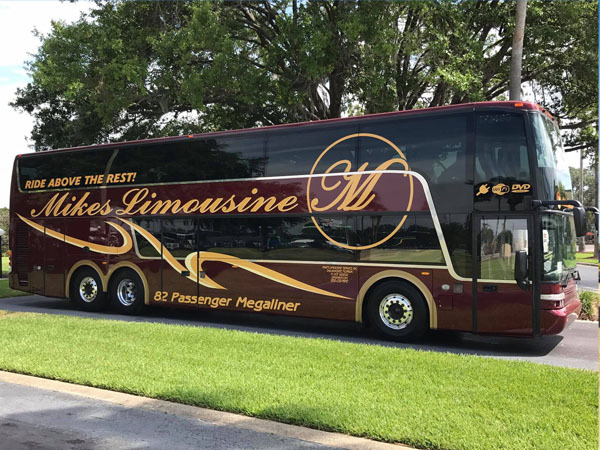 In the videos below, the vehicles are very similar to our buses. The garnet and gold bus and the sunrise orange one have the glass panoramic roof.